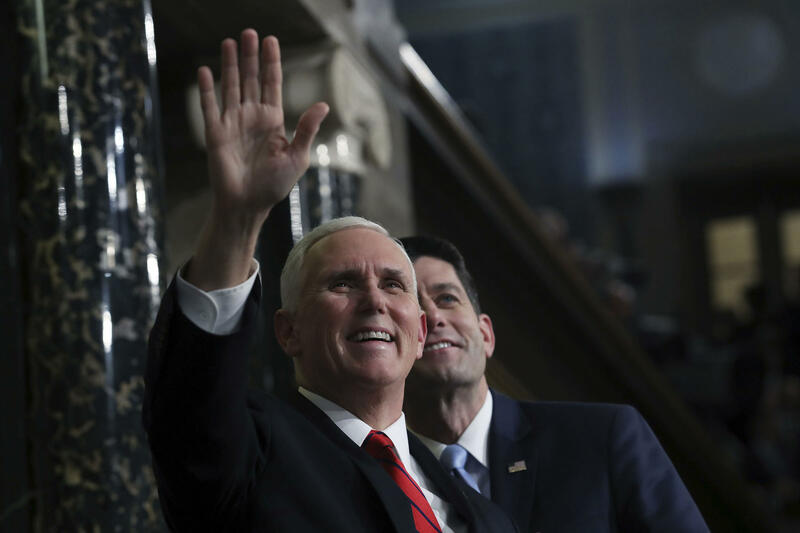 Pence criticized Manchin, saying he has opposed President Donald Trump's initiatives, but said the administration has delivered new jobs and low unemployment anyway. In video from the event Thursday shown on WOWK-TV's website, Pence said Manchin's opponent, state Attorney General Patrick Morrisey, defends coal miners and energy producers and supports the Second Amendment. The Intelligencer said the event in Wheeling was sponsored by America First Policies. Pence was next going to a private fundraiser for Morrisey's campaign sponsored by Murray Energy CEO and President Robert E. Murray. Vice President Mike Pence is making a stop in West Virginia to speak at a public event and later attend a private fundraiser. The Intelligencer in Wheeling said America First Policies is sponsoring the free public event, where Pence is to speak following a panel discussion on the federal tax overhaul. The event is being held at 2:30 p.m. Thursday at Oglebay Park's Wilson Lodge in Wheeling. State Attorney General Patrick Morrisey will speak after the discussion and introduce Gov. Jim Justice. America First Policies spokeswoman Erin Montgomery said Justice will then introduce Pence. Pence also is expected at a private fundraiser for Morrisey's U.S. Senate campaign sponsored by Murray Energy CEO and President Robert E. Murray.